You all are going to have to forgive me on this one. Last night when I went to post the Top 10 Storylines I had a great description for each choice as to why we chose it and then when I was about finished I hit the wrong key and lost it all. So here, in a much more simple format, is the Top 10 Storylines of 2007. 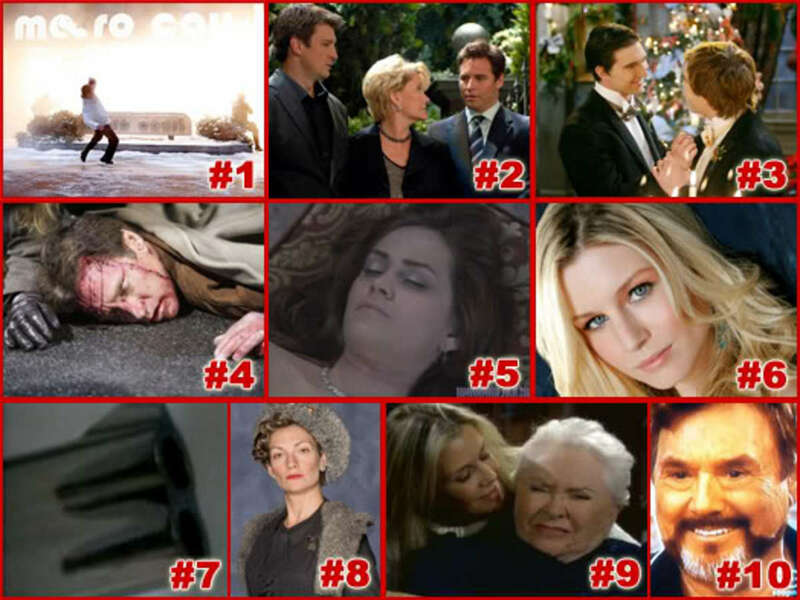 The ironic thing about the Top 10 Storylines of 2007 is that even though we hate mob storylines, murder, and the killing of veteran and heritage family characters, five of our Top 10 involved the death&apos;s of veteran or heritage family characters. We hate that General Hospital killed off Alan Quartermaine but there is no denying that the Metro Court Hostage Crisis was a great format and that there have been many repercussions. We hate that One Life to Live killed off Asa but how they have used the death to spawn other storylines has been flawless. We hate that Days of Our Lives killed off John but it provided two of the best weeks the show has had in a long time. We hate that General Hospital killed off Emily Quartermaine but it provided Tyler Christopher, Rebecca Herbst and Leslie Charlson the opportunity to display some of their best work in years. On Guiding Light, I personally never cared for Tammy but if one takes a look at the repercussions of her death there is no denying that killing off Tammy had a major impact.